Season 9 Dev Blog #7 IMPORTANT MIGHT WANT TO TAKE THE TIME TO READ THIS! 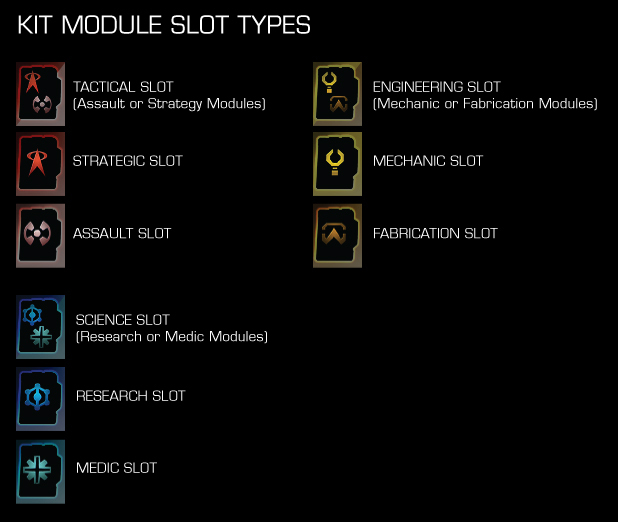 One important note about this new slotting system: older Kits never contained a full suite of Rank III powers, but new Kits can be filled with all Very Rare (equivalent in power to Rank III) Modules. This means players who participate in the new Kit system will slowly overtake the power level they had reached with previously existing Kits, as they fill out their Modules with better quality powers. Re: Season 9 Dev Blog #7 IMPORTANT MIGHT WANT TO TAKE THE TIME TO READ THIS! I like it! I always found that at higher ranks, I could only find 2 kits (at least for tactical), that never had the power mix I wanted. I couldn't understand it until quite near the end, but I think I see now. So, basically, what they're saying is that instead of giving out ready-made Kits that have 2 or 3 pre-set abilities, they're now going to give out empty Kits and various abilities to put into them? I like that idea. 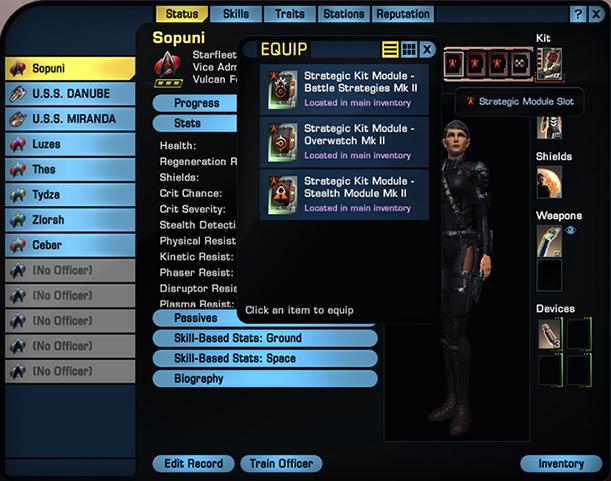 Weighing up the different combinations of features on almost everything in STO - this one has A and B but not C, this one's good on D but at the cost of E and F and you can't separate the two - always puzzles me. I generally have a Kit with one or two abilities in my Kit that I don't use at all, for the sake of the other abilities that I do use; this way I could replace them with ones I'd use. (I hope there are going to be Medical Tricorder modules, I used to use that one constantly before I finally got rid of my beginner's kit.) I'll be interested to see how it works with crafting. To be honest, I think I'll keep my kit. I'm a player who fights with spam on the ground, and I have a kit that makes attack drones, support drones, quantumn mortars and phaser turrets. I stand back and spawn al of those while my boffs go in and do close combat fighting. Still, more customising is always a good thing.